I'm following the contest theme for It's like having my own Card Shop's 9th Blog-O-Versary Contest. 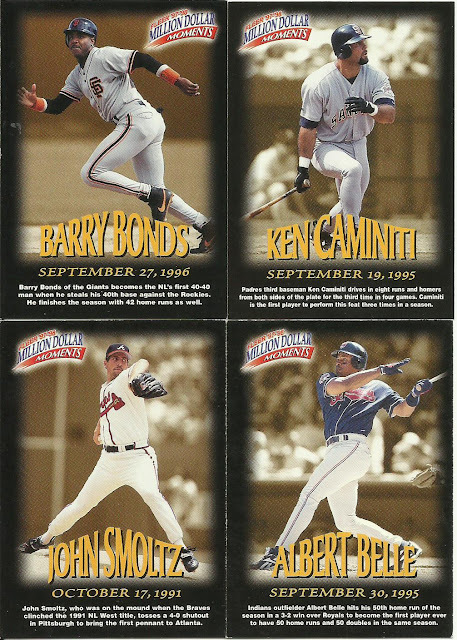 But rather than pick 9 individual cards, I decided I wanted to select one of my favorite 9-card pages in my collection. And the first page that came to mind was this one. These are all testimony cards, that I think were produced in the 90’s, based on the players I have. 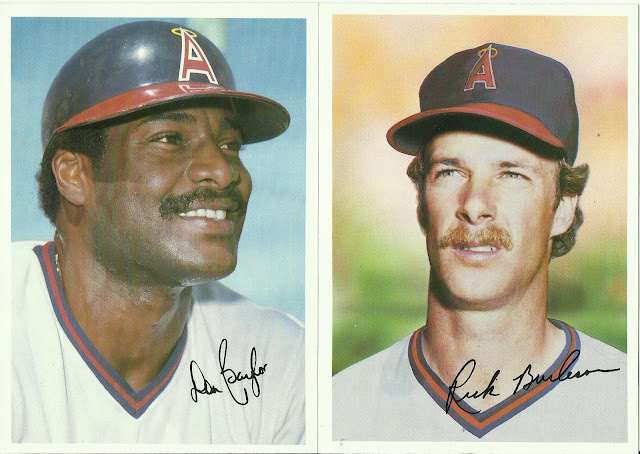 I love the simplicity of them, and the different colored borders. And a whole page them just looks fantastic. I have 12 different cards in this style, and I’m always looking for others. 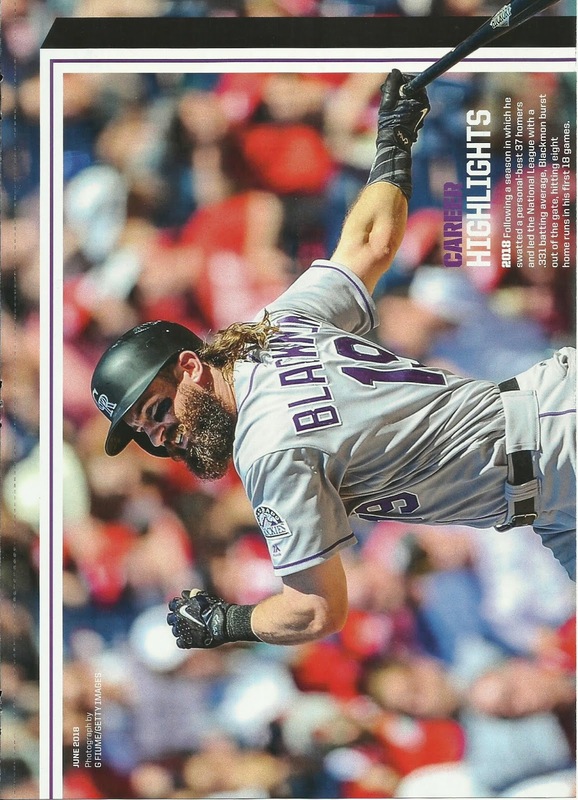 With a nod to the signing off of the Bob Walk The Plank blog, I thought, in tribute, I'd repost the first trade (I think) that we ever made back on April 15, 2014. 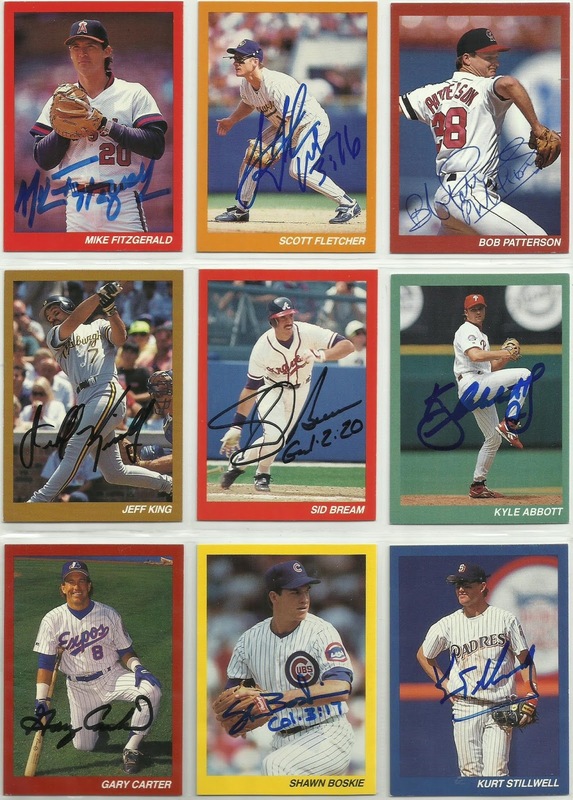 These trades always seemed to be one-sided, Matthew has always been very generous with the relic and autograph cards, the type of stuff I typically dont have much of to send in return, let alone much in the way of Pirates. But we've made some great trades and I hope to continue in the future. Anyhow, heres the old post, and sincerely, your blog will be missed. First off, I have to say, that hands down the title of Matt's blog is on the top of my Favorite Named Blogs list. "Bob Walk The Plank", I giggle and smile every time I say it. And you know right away he's a Pirates collector, that the blog is about the Pirates, you don't even have to have "Pirates" in the title. It's genius, and funny, and clever. Anyhow, on to the goods. Or should I say on to the Treasure Trove, in following the Pirates theme. 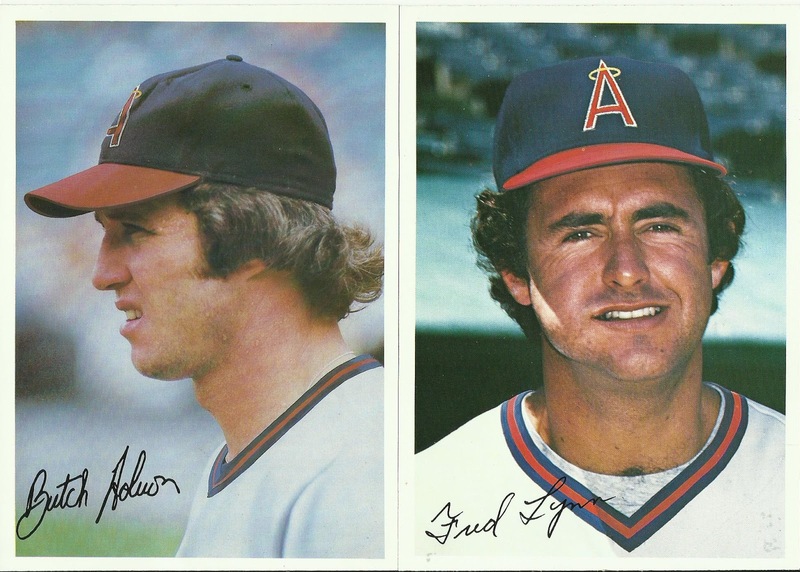 Dallas McPherson, one of those Angels destined for greatness but never quite could make it in the big leagues. 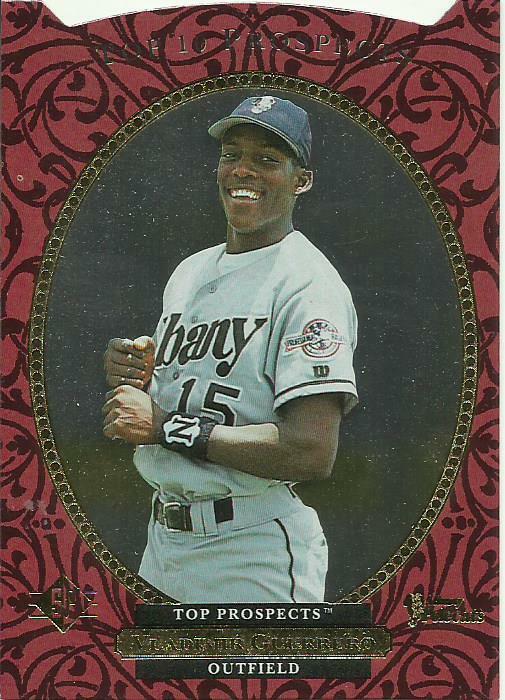 He was the 2004 Minor League HR Champ, hit 42 in 2008 for Albuquerque hitting one in 8 consecutive games. Played in 117 games for the Angels over 3 years. Garrett is off to a great start this season, he's already 2-0. 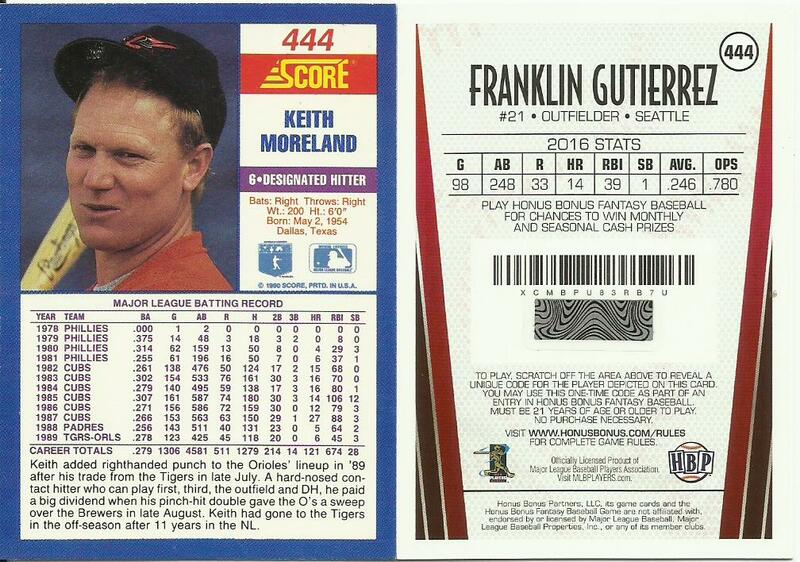 Two great things about both of these cards: 1. 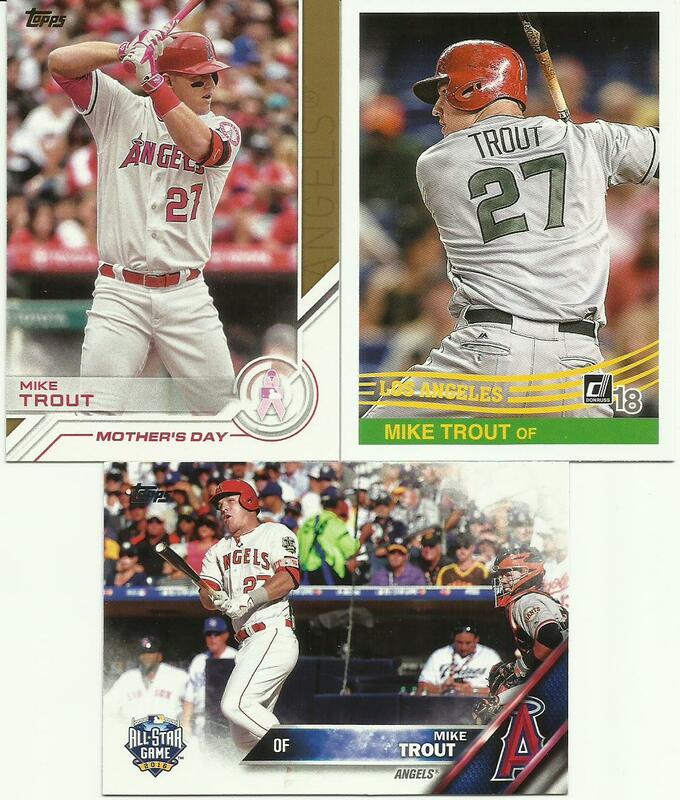 Mike Trout and 2. Baseball Stitches. 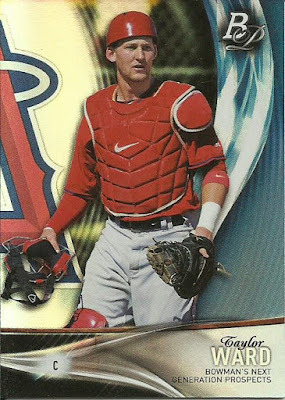 The Prism card edges out the Stadium Club though since it's stitches refract! The Stadium Club is a Triuvirate? 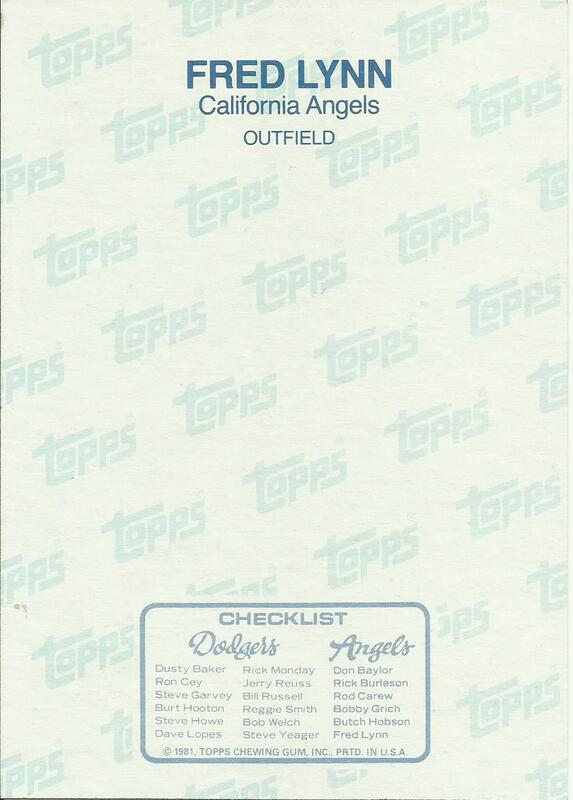 I would swear that Topps made that word up, so I had to got to Websters to see. "Find the other connecting cards to complete the Triumvirate." 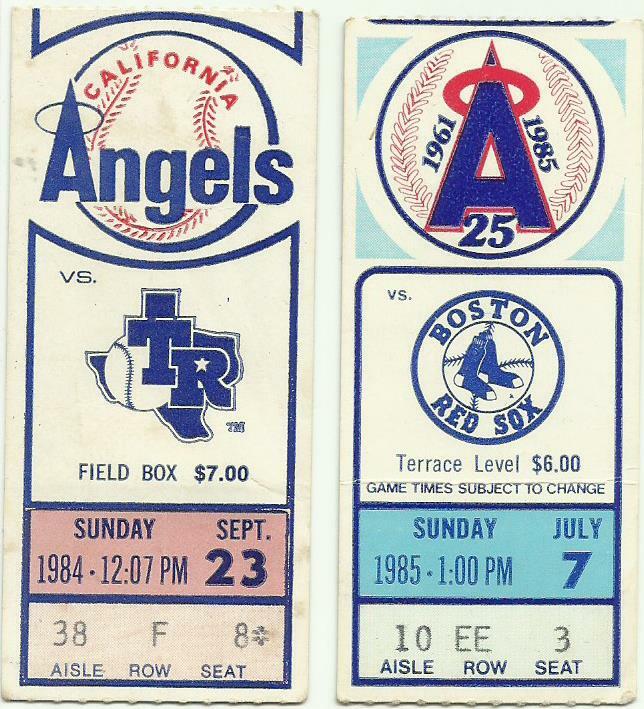 I would love to have another Angels no-hitter ticket stub. Pretty pricey on ebay though. 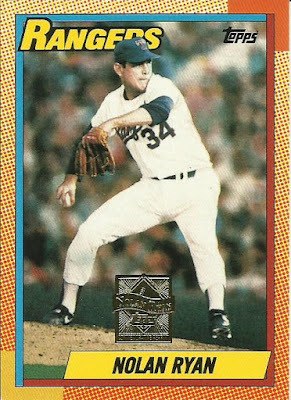 My dad was at Nolan Ryan's 3rd and I have one of those stubs. 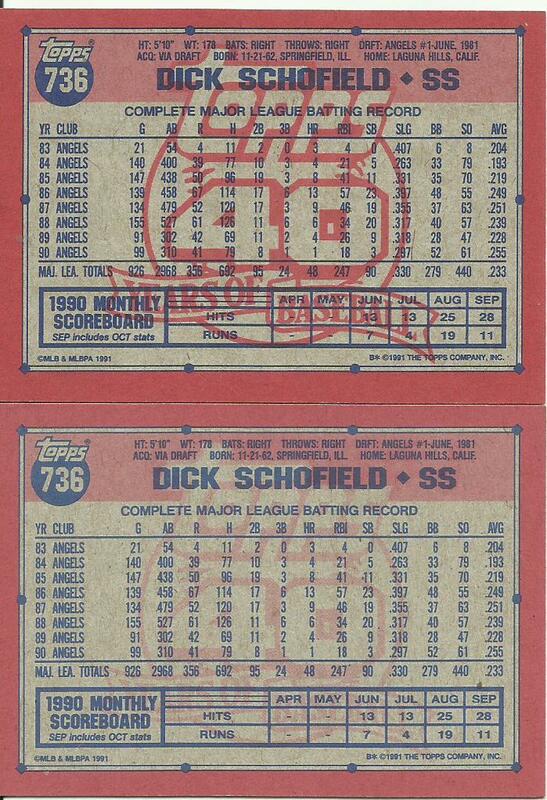 The Angels have thrown 10 no-hitters. Maybe I'll keep an eye out for one of those other one's. 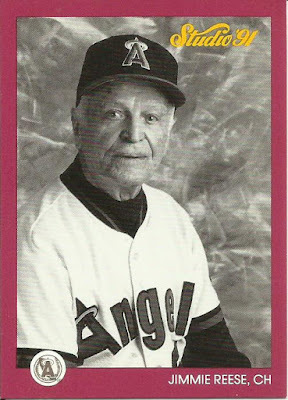 Another high-hopes Angel, probably one of the most documented and talked about in Angels history. I think the guy who takes the ultimate prize though is coming up at the bottom of this post. Anyone name him without looking? 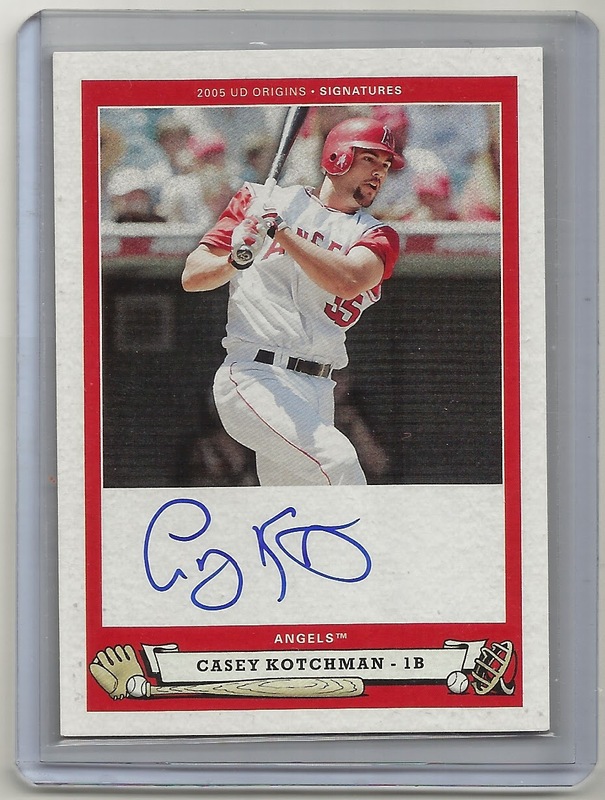 I always pulled for Kotchman to do well, still do. 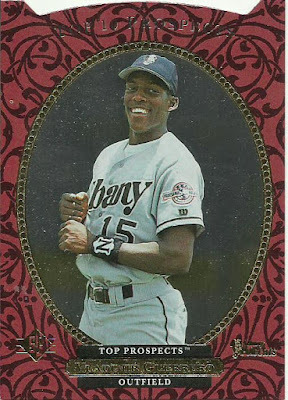 I wondered if he might still be hanging on somewhere but he was released by Miami last August. I always smile when I think of Jim Abbott. It was always great seeing him pitch at Anaheim. 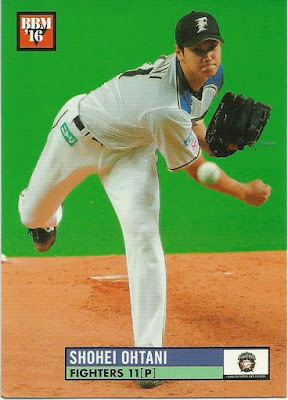 I'll have to go back through my score books sometime to see how many times I saw him pitch...or at least how many times I scored him pitch. I'm sure I saw him more often than I scored him. 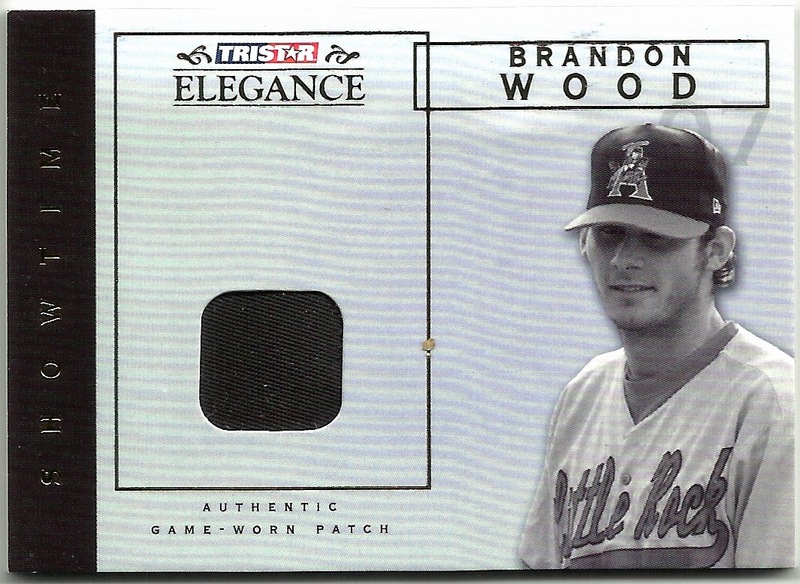 Ah, Brandon Wood, winner of biggest (I hate to say disappointment, but hopes were very high) disappointment. Unlike Dallas McPherson, just about everyone wanted Wood to do well and really succeed, or at the least make it in the big leagues. He didn't accomplish much. He managed to stick around for 5 seasons though. 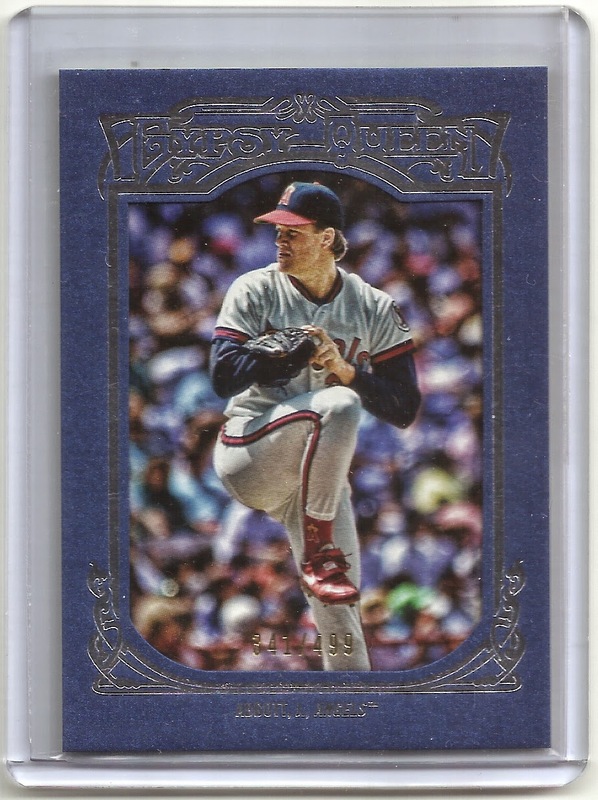 That indentation in the card is from the scanner, it's not a stone embedded in the card. Now I owe you some serious Piratage. I have been expecting Shohei Ohtani to show up in SI For Kids. 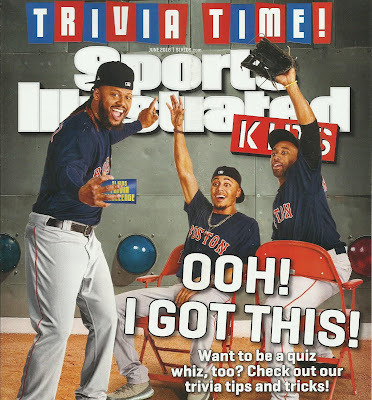 Yes, I still get the magazine in the mail each month, look forward to it, for the card sheets! The only question about Ohtani showing up was HOW would he show up: cover, card sheet, poster, or ALL three! Mike Trout has been on the cover at least once; on the card sheet twice; and I don't think he's made it to the poster yet. The June issue came in the mail recently, so let's see if Ohtani shows up. 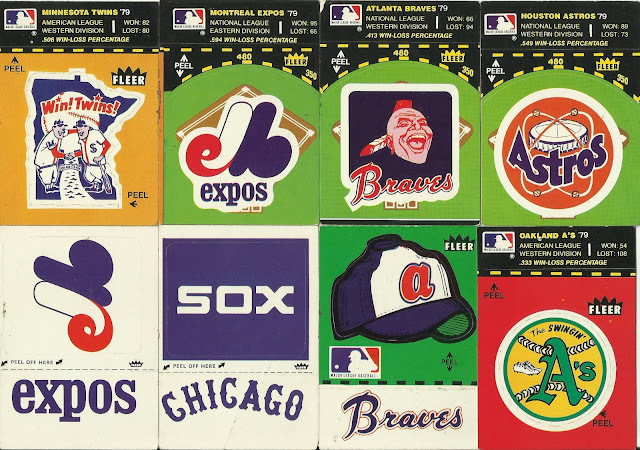 Bottom center. Center square would have been ideal, but I'm still happy to see him. Pitchers pose. 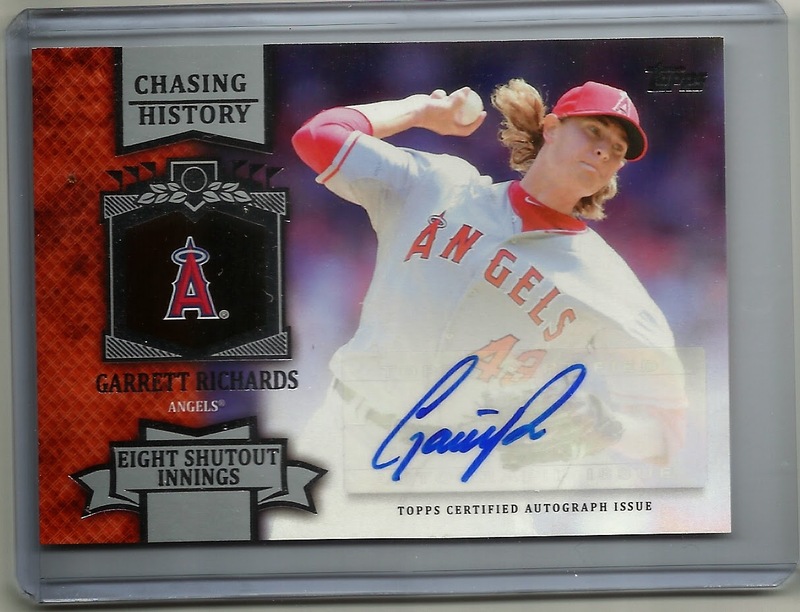 Good looking card. Maybe we'll get another card of him hitting in a later issue! 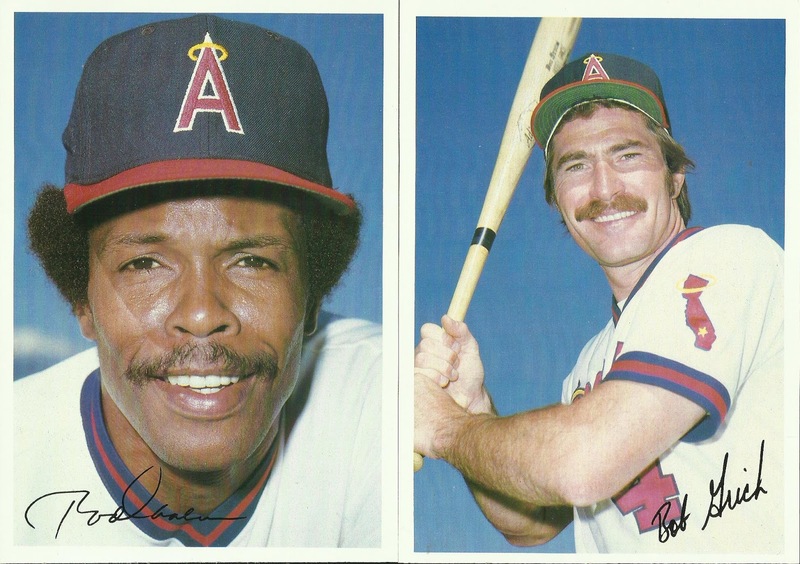 Charlie Blackmon and Tina Charles, meh. 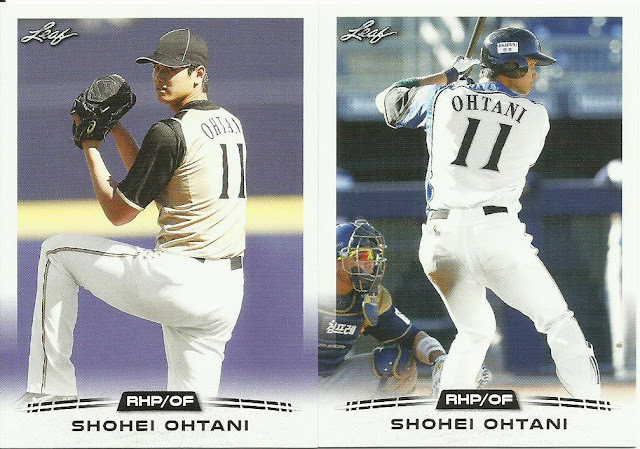 So, now I wait in anticipation for an Ohtani cover or poster. I'll definitely keep renewing my subscription! Bert sent me the whole Angels team from this sweet early 80's set. Beautiful art work on the packaging. 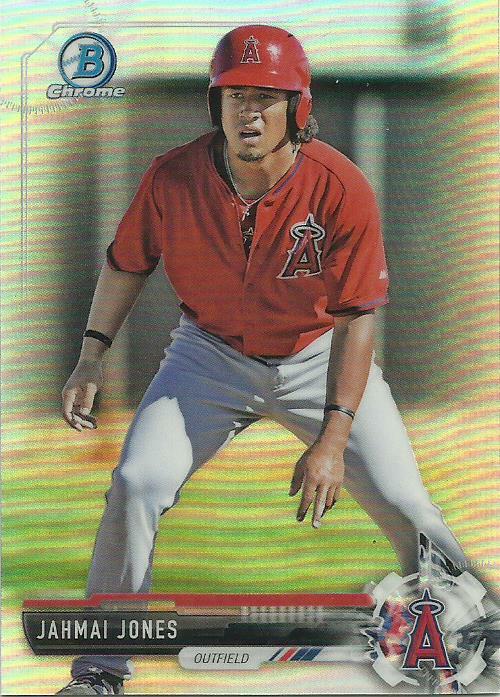 At only 1 card per pack, he must have busted a case of this to get all the Angels cards. I've seen a few other bloggers posting their teams cards as well. 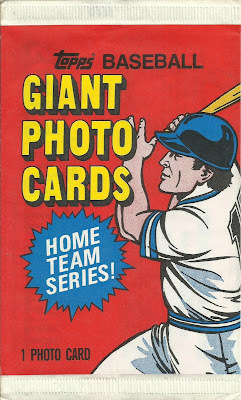 Six 5x7 cards in the team set. 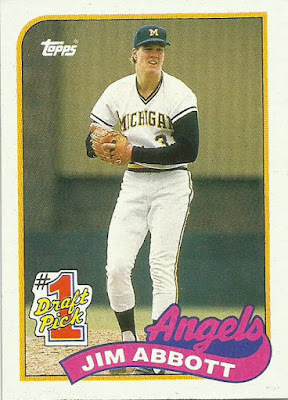 There are only 11 teams available in this set, so I'm glad the Angels were one of them. Simple back, just a name, team, and position. No stats. 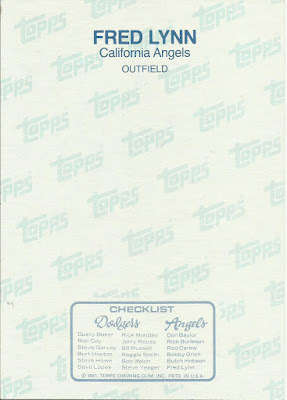 I like the "Topps" watermark to break up the otherwise boring white landscape. 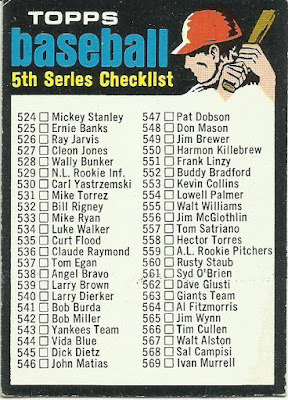 There's also a "team set" checklist at the bottom. Obviously the Dodgers are the more popular team as they have twice as many players in the set. Great to knock out this odd-ball team set, thanks Bert! 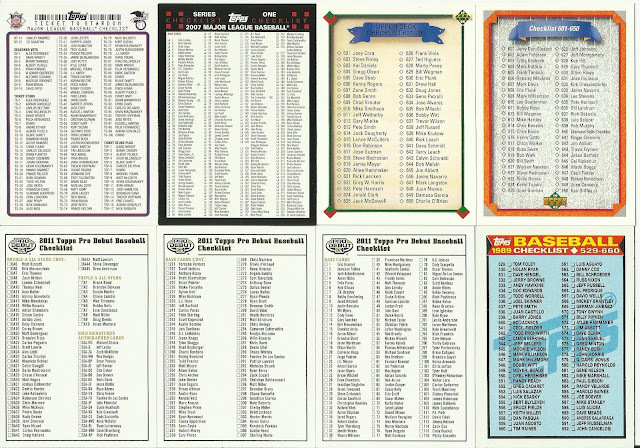 Matt saw that I was working on completing the 1993 Triple Play set, and bombed me with the 52 cards I still needed to finish it off. It's a pretty nice set in my opinion. The only thing I would change about the design is that I'd remove the Triple Play logo in the lower left, it distracts me. Otherwise I really like it, especially the block silver name at the top. 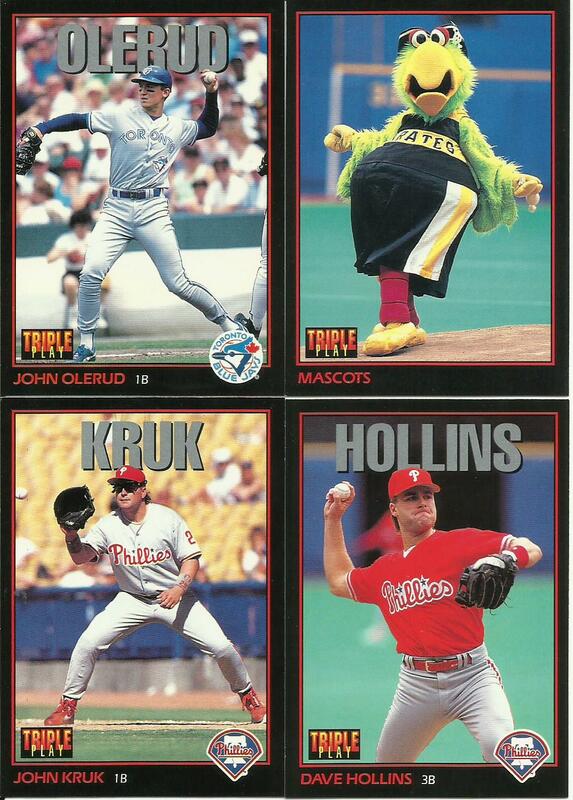 Turns out I need that Olerud for the PC, but here in this set he stays. The PC comes secondary. Even the horizontal cards looks nice, and I'm not usually a fan of horizontal cards. So Matt sets me up and knocks out the base set, and that's awesome. 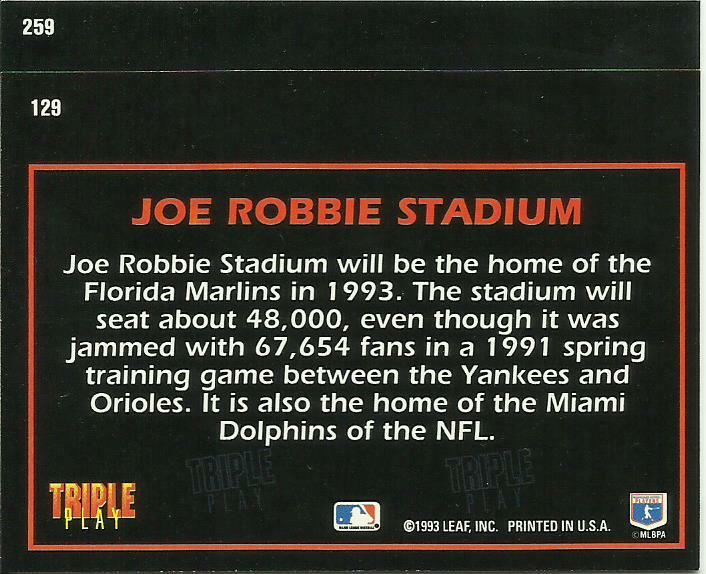 He even sent the Joe Robbie Stadium error card I needed. 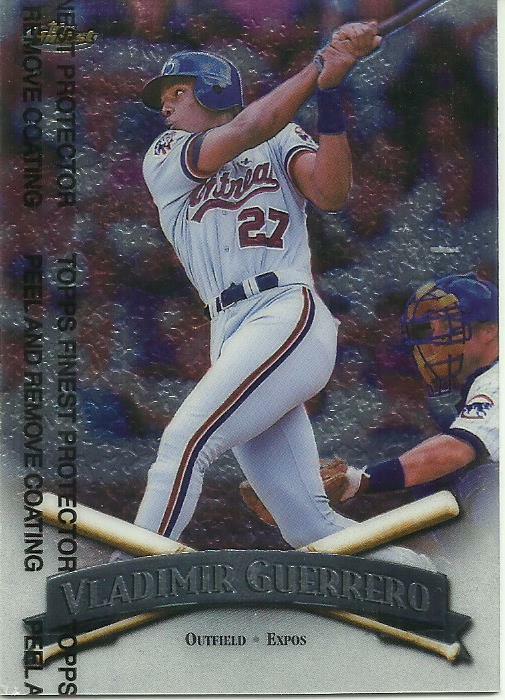 The error was numbered #129 when it should have been numbered #259 as shown in the top card. 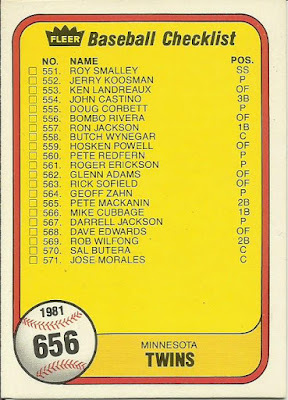 This leaves me only needing the #101 Andy Stankiewicz error card which has his name in white on the front, as opposed to the standard red font. Given that Matt wiped this set out so quickly for me, I also decided to go ahead and collect the inserts for this set, so I added those to the want list tab. A little play on words of the title of a 60's Sidney Poitier movie and the old song by Lulu, To Sir With Love. I'm pretty sure that I've traded with Jason in the past, but probably a long time ago. So long in fact, that I think he was still blogging under Jasons Sports Card Blog, which has been defunct now for about a year, I think? 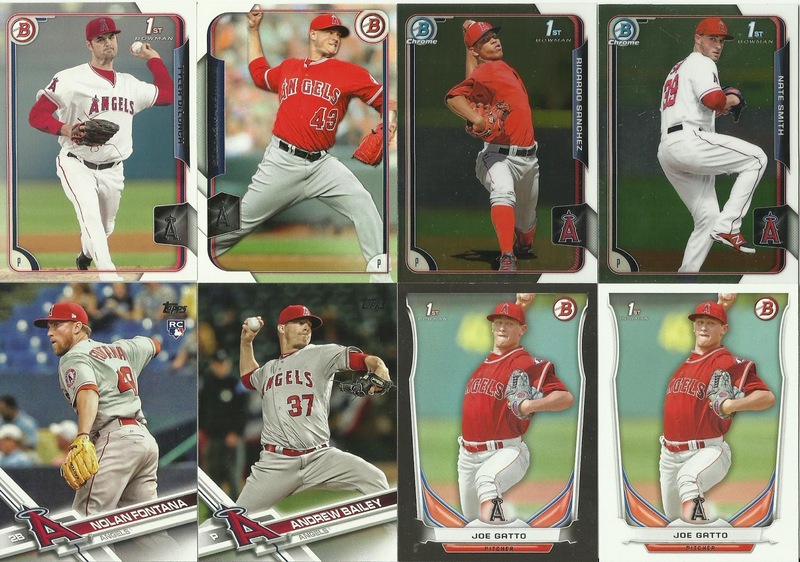 Anyhow, his Hoarding Cardboard blog is great, and he recently took me up on my Year For Team Traders call-out, claiming Reds cards. His return package was pretty sweet. I plan on opening zero Leaf this year, so these are especially appreciated. 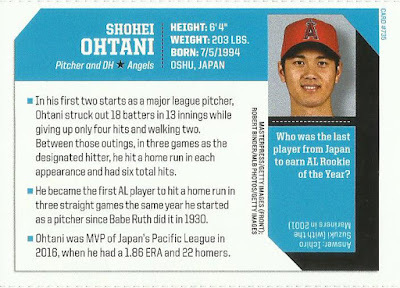 Pretty sweet that he sent his pitcher card as well as his hitter card. 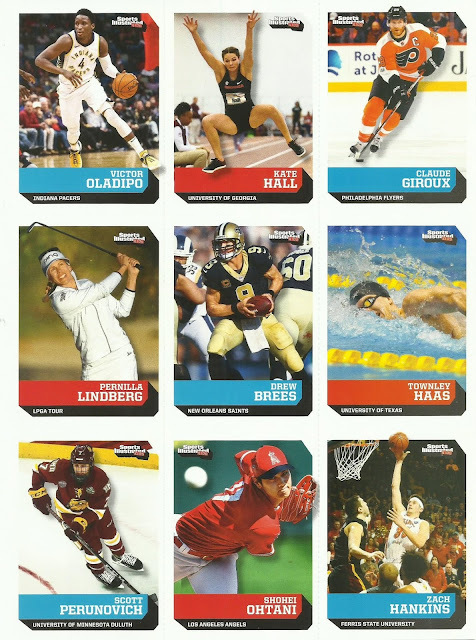 Donruss is another brand I will not be purchasing, they are just too generic for me. 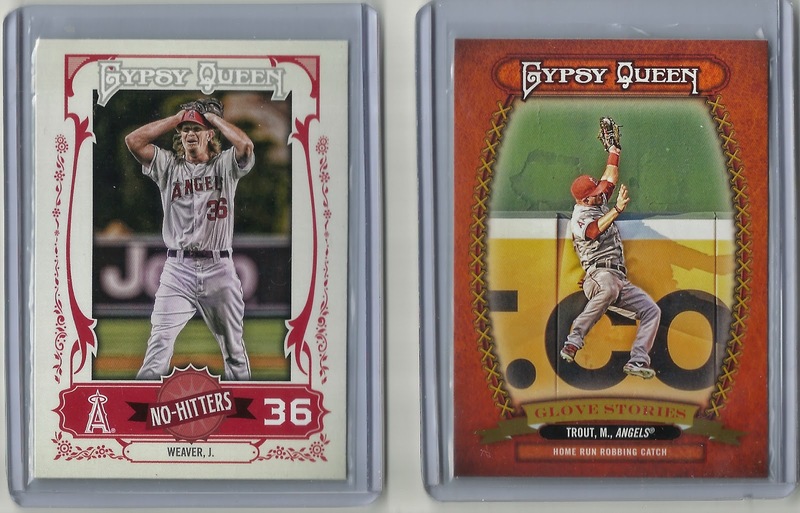 Jason hit up my Baseball Card #444 list and found two more that I need. And he hit my player collections. And knocked off 4 more for the Fleer Million Dollar Moments set. P-Town sent over a 500ct box full of my favorites: Angels, checklists, and sweepstakes, as a result of his offer of Cards For The Taking. A cleaning out if you will, like we all do from time to time. I'm still sending out packages from my clean out earlier this year. 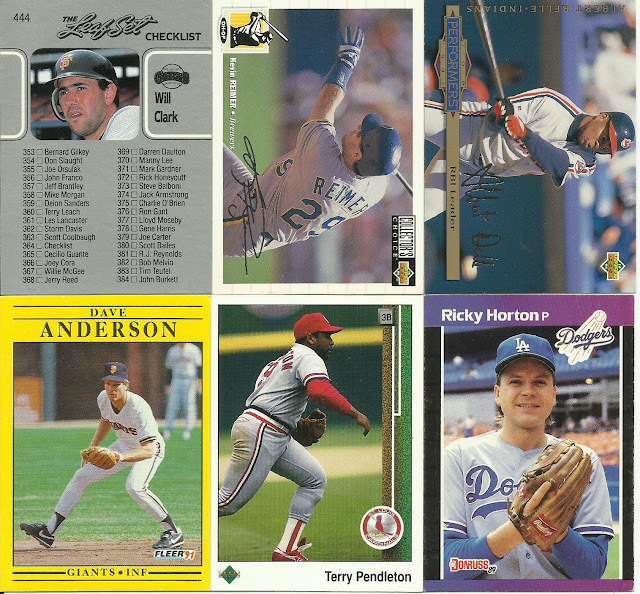 Anyhow, he sent me a ton of cards, but I only picked out a select handful to show off. 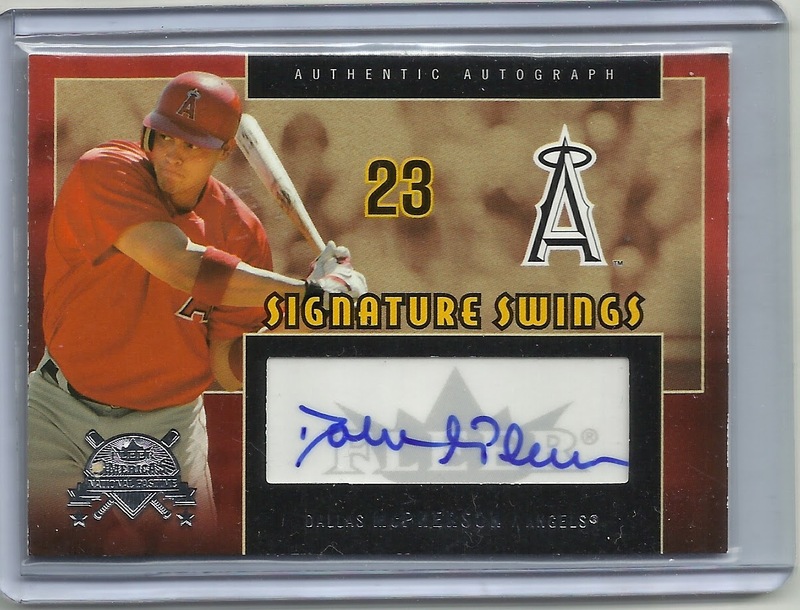 One of my top ten favorite cards, and top ten favorite Angels. 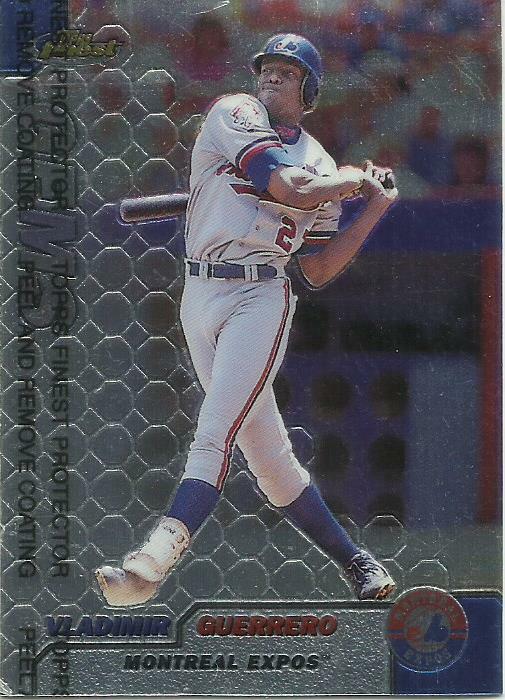 I had a few interactions with Jimmie Reese back in the 90's, and every time I walked away smiling and happy. The guy was awesome. 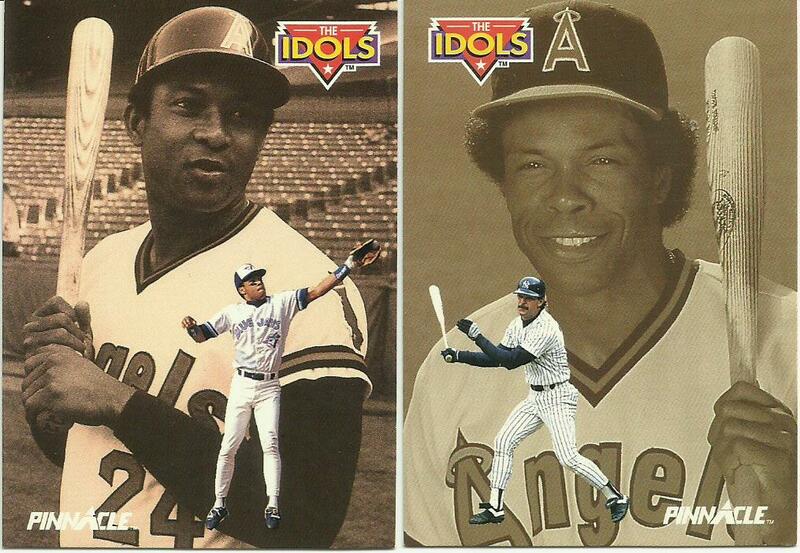 I have the the Jim Abbott/Nolan Ryan Idols card but had no clue these two even existed. 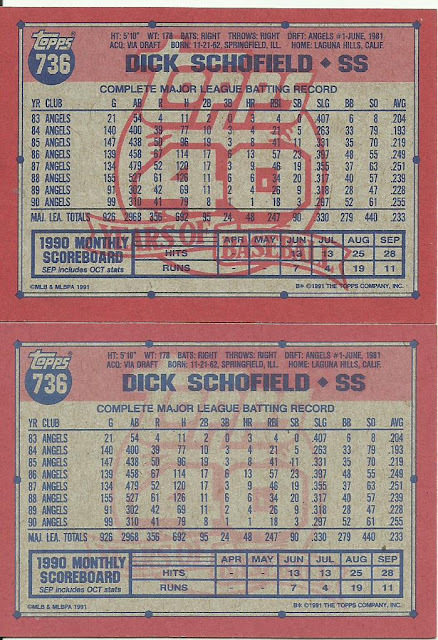 You can clearly see the difference in shading of the ghosted Topps 40 logo. 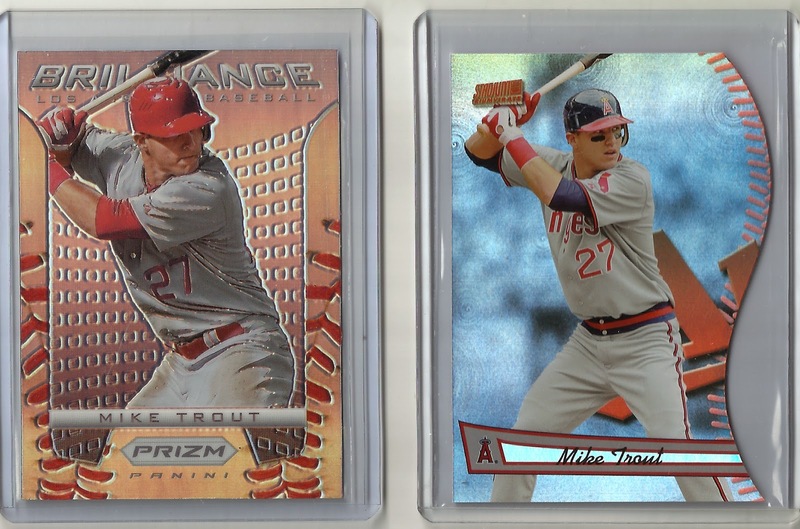 Being a completest, this makes team set collecting even more challenging. 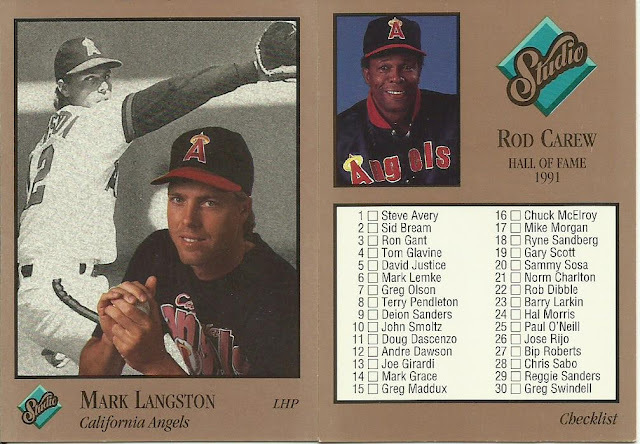 The Langston is the last card I needed for the team set, and the Carew checklist gets me closer to completing the checklist set. 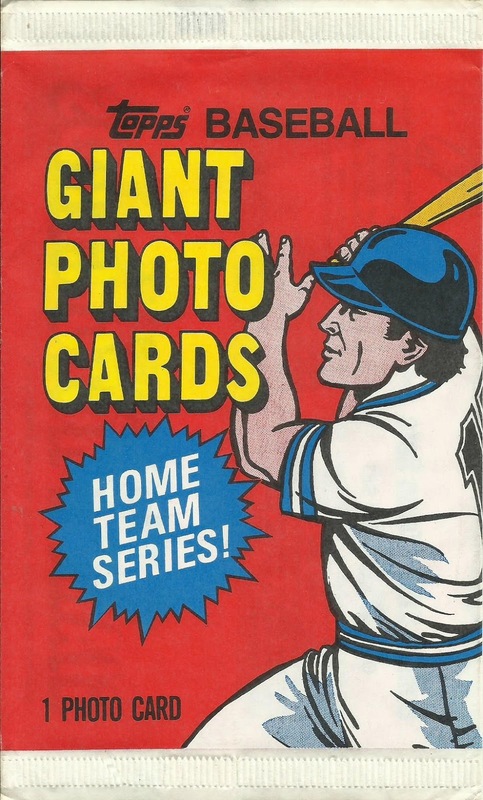 I like these cards with blurry players in the background, it's fun to try to figure out who they might be. 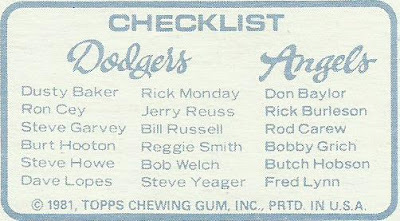 I'm thinking it's Doug Rader who was the Manager most of the season. 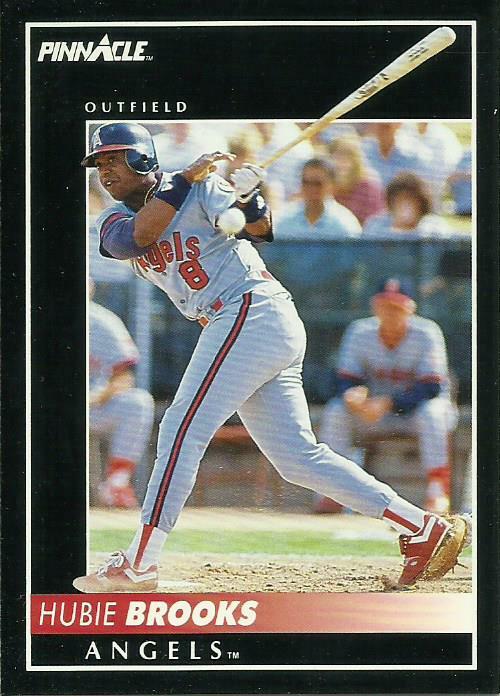 This card always takes me back. 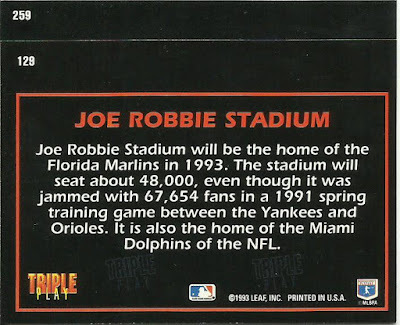 I remember clearly how excited I was when I first pulled it out of a fifty-cent pack back in 1989 (were they fifty-cents in 89? I don't really remember). Now I need to get to work on all the team stickers. 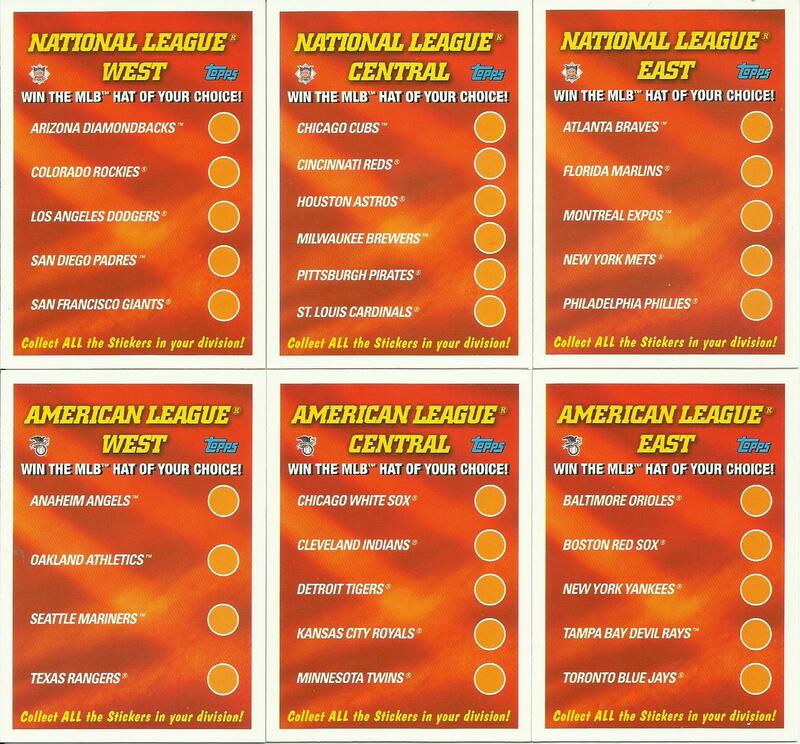 Some of the sweet Offer Cards Tom included. Glad to be the recipient of your cleaning out Tom, thanks! 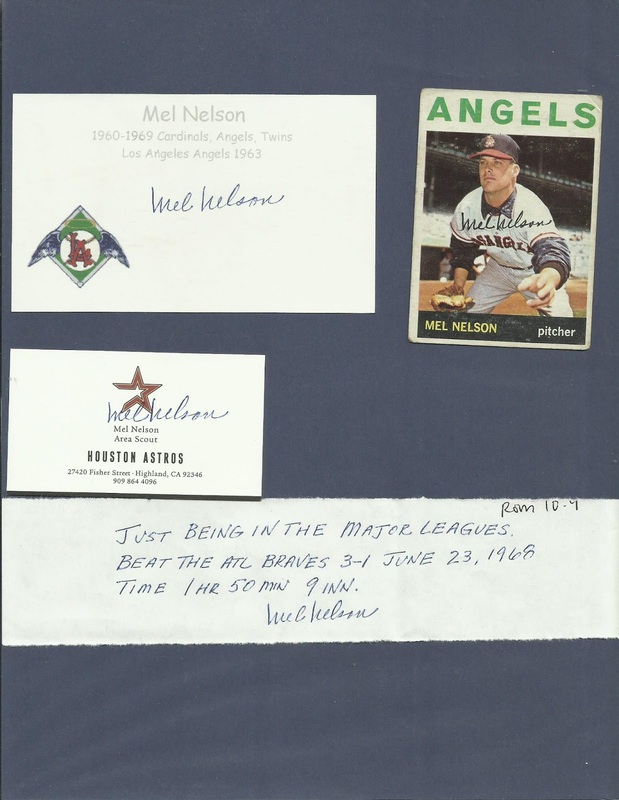 Correspondence received prior to 2004. But you get the pun. 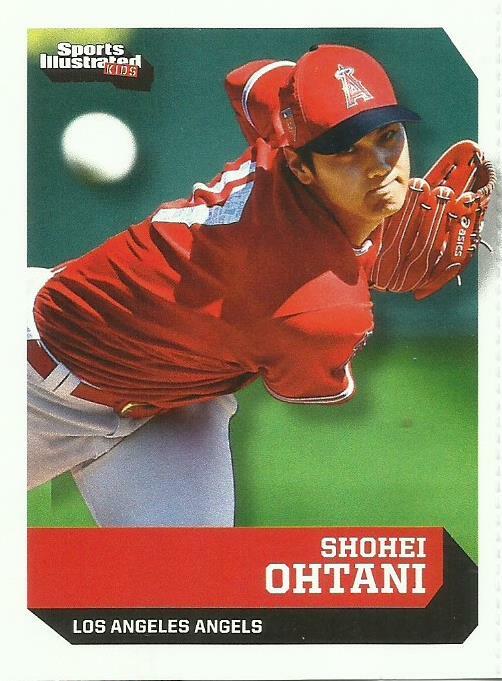 It was several months back that Zippy alluded to sending me an Ohtani. I think his words were something like "I might be able to do something about that." Then time passed, and I kinda forgot about it. But now! Look at that! And it's awesome, because, as I keep saying, I'm HAVING THE WORST TIME TRYING TO PULL ONE! 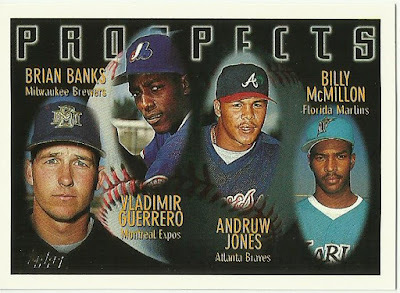 You know, refractors will never grow old with me. 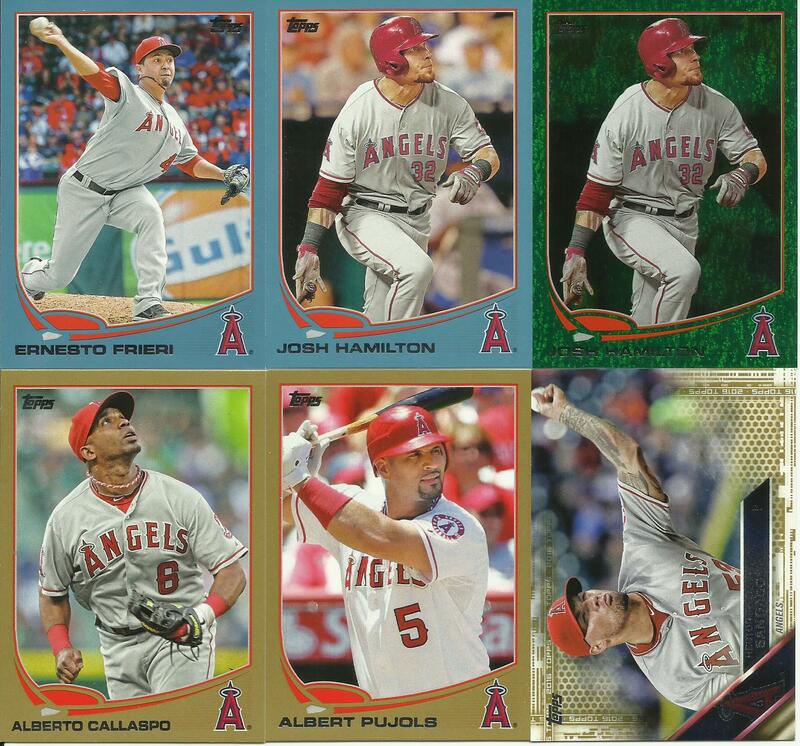 I will love them forever, and Bowman refractors are the best. And rounding out a sweat batch of Angels. 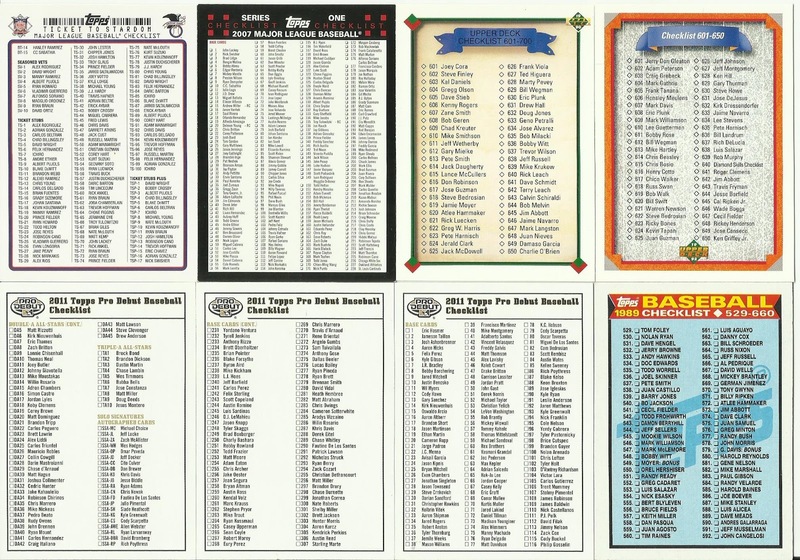 The three 2011 Topps Pro Debut Baseball in the lower left is the whole checklist set. Kenny also sent a handful of Ducks cards, he does that from time to time even though I don't collect any hockey. It's kinda cool though because it makes me think of home. Great stuff as always Zip, thanks! Here's what I won this month. I was a short on available credits the first half of the month so I was a little conservative in bidding. After selling some stuff for a good chunk of credits I was able to bid, and win, more often in the second half. I won the 1984 stub, but had to send a reminder after 2 weeks (Listia rules says you can request a refund after 7 days) that I hadn't received it yet (it hadn't even been marked "shipped" yet). The seller responded with apologies, and included the 1985 stub as a sorry. I wasn't worried about it, wasn't asking for a refund, just wanted them to know, but it's nice they went the extra step. Oh, and I looked these games up on Retrosheet...nothing remarkable happened in either. 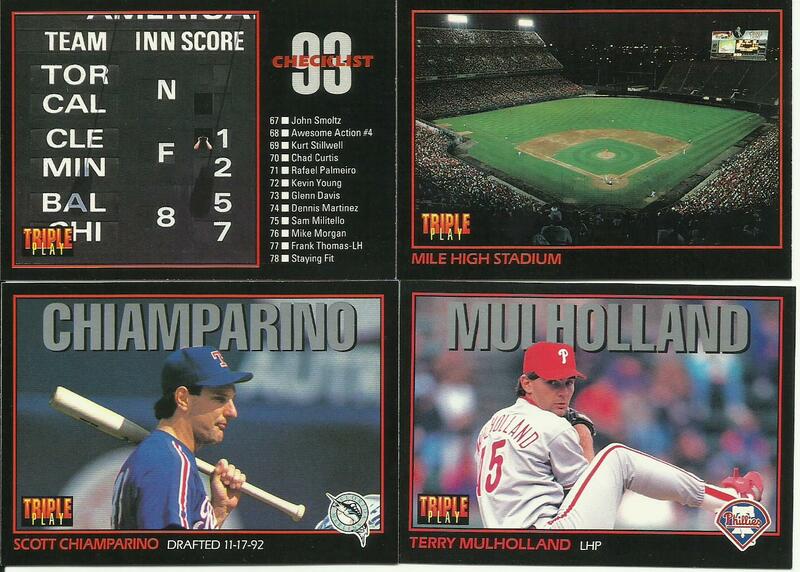 Won this lot for the 1990 Leaf Checklist #444. I have this card already as a part of my #444 Baseball Card Collection. Needed it for the checklist set. 1980 Fleer Baseball Stickers lot. Pretty happy with Mays winnings.